Copyright holder unknown. Permission to use requested hereby. 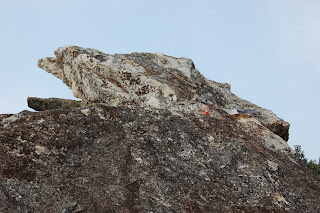 Once upon a time, Bhagava, Rajagaha revisiting, Vulture's-head rock. There then Sutava the Wanderer approached Bhagava and drew near. Having drawn near he exchanged greetings together with Bhagava. Having exchanged greetings and shared friendly talk he took a seat to one side. 2. There was once, Bhante, a time when the Lucky Man, this very Rajagaha revisiting, Vulture Head. A corruptions-eliminated beggar cannot behave with the purpose of cutting off breathing life. A corruptions-eliminated beggar cannot behave such as to take by theft what is not given. A corruptions-eliminated beggar cannot behave such as to engage in things related to copulation. A corruptions-eliminated beggar cannot behave such as to knowingly tell a lie. well set up what The Lucky Man said? 3. That you have, Sutava! That you have! cannot behave in these nine manners of carring on. A corruptions-eliminated beggar cannot behave such as to store up for the pleasure of enjoyment in the same way as when earlier living in a house. A corruptions-eliminated beggar cannot behave such as to act upon wishes. A corruptions-eliminated beggar cannot behave such as to act stupidly. Previously I have, and currently I say thus, Sutava.